Shalom Italia divided the text of this megillah into 30 columns, which he planned inside elaborate rustica portals. The figures of King Ahasuerus and Queen Esther alternately fill the niches between the portals. On the pedestals there are 29 small illustrations of the Esther story. 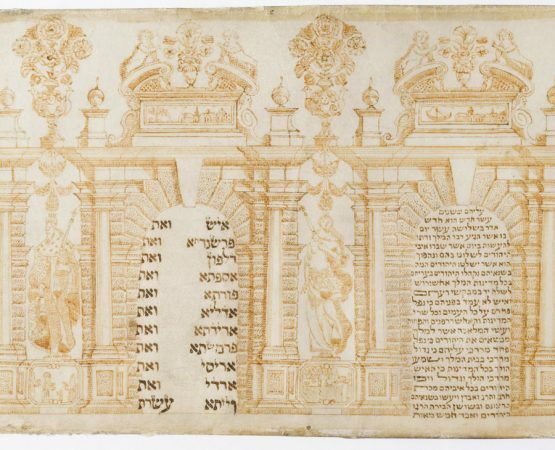 The careful execution of the drawings and a comparison of this drawn border with printed borders known to have been designed by Italia prove that the border served as a model for one of Shalom Italia’s earliest copper-engraved borders.